The basis for my reference to LinkedIn as a “Salesperson’s Nirvana” and treasure trove is, of course, the search tools that LinkedIn bestows even unto its Free memberships. Nestled now squarely on top of the main navigation bar (in lieu of at the right) so it found more easily, is the pull down menu (see below) with the basic searches, as well as the “Advanced Search” which is the real gem. Prior the “Advanced” search button was flush right and completely missed by most. As you can see from the image above, your search options include: All, People, Jobs, Companies, Groups, Universities, Articles and your Inbox. Changes occur frequently so don’t be alarmed if you do not see all, or if you see more options. 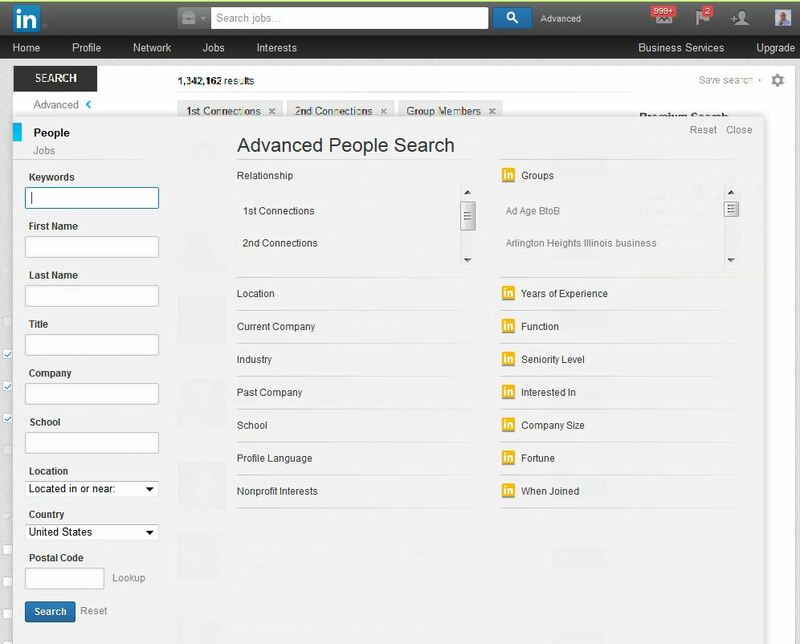 Advanced search works for People and Jobs search only. It opens the window shown below. 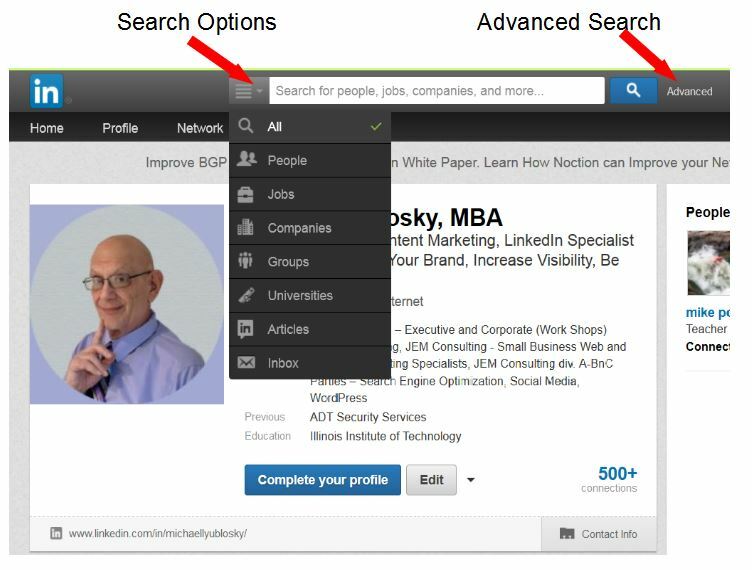 LinkedIn Advanced People SearchTo the left are the main search boxes. The add on filters are in the middle. The eight premium service filters are to the right. I have added as many as 300 characters to the keywords field which can narrow your search to a defined target market. Plus, you get to save up to three searches even with the free membership. You even have several options on getting updates. Confused? Don’t be. Let us help shorten the path and get you from Point A (where you are) to Point B (where you want to get to) faster.